Location of Decatur in Limestone County and Morgan County, Alabama. 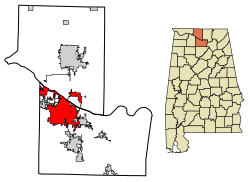 Decatur Alabama is a city in Morgan and Limestone counties in the State of Alabama. The city, affectionately known as “The River City”, is located in Northern Alabama on the banks of Wheeler Lake, along theTennessee River. It is the largest city and county seat of Morgan County. The population in 2010 census was 55,683. Decatur is also the core city of the two-county large Decatur, Alabama Metropolitan Area which had an estimated population of 153,374 in 2013. Combined with the Huntsville Metropolitan Area, the two create the Huntsville-Decatur Combined Statistical Area, of which Decatur is the second largest city. Like many southern cities in the early 19th century, Decatur’s early success was based upon its location along a river. 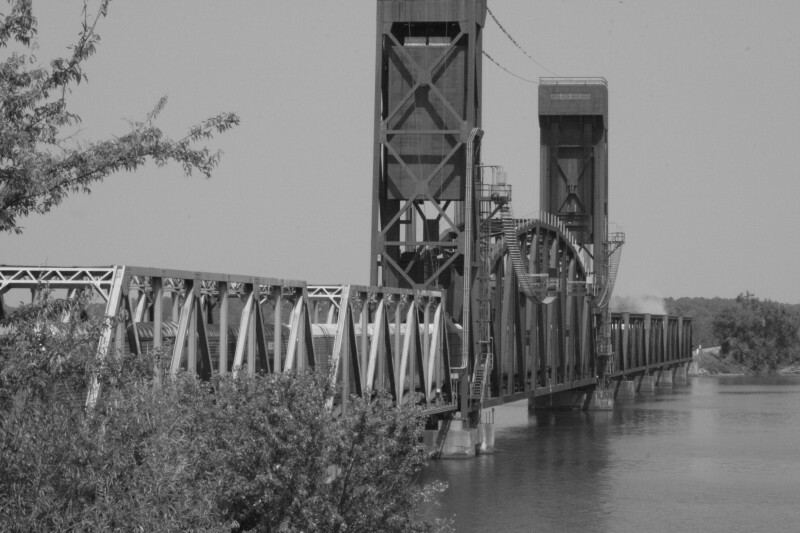 Railroad routes and boating traffic pushed the city to the front of North Alabama‘s economic atmosphere. The city rapidly grew into a large economic center within the Tennessee Valley and was a hub for travelers and cargo between Nashville and Mobile as well as Chattanooga and New Orleans. Throughout the 20th century, the city experienced steady growth, but was eclipsed as the regional economic center by a fast-growing Huntsville during the space race. The city now finds its economy heavily based on manufacturing industries, cargo transit, and hi-tech industries such as General Electric, and the United Launch Alliance. Decatur, Alabama was the site of two railroads that joined there, the route from Nashville and the other from Chattanooga. The crossing of the Tennessee River was in Decatur and contested by General Hood during his move on Franklin and Nashville in 1864. Athens, Alabama, just North of Decatur, is also rich in Civil War History as is Elkmont, Alabana, about 8 miles north, the site of the Battle of Sulphur Trestle in September 1864.
Credit: Wikipedia contributors, “Decatur, Alabama,” Wikipedia, The Free Encyclopedia, http://en.wikipedia.org/w/index.php?title=Decatur,_Alabama&oldid=622060365 (accessed August 31, 2014).